The world of work is changing. How many years have we been hearing that? In fact it’s the header on my website Upward HR! You’ve likely heard about different generations at work for many years now. I first read about the topic over 10 years ago in Giselle Kovary and Adwoa Buahene’s, 2007 fantastic book Loyalty Unplugged. Since then, a vast majority of writings about generations in the workplace have focused on how to best manage and lead workers born 1981-1996* aka Millennials and Post-Millennials born 1997-2015*. However, we need to remember the small and mighty generation that is making a significant difference right now – Generation X. If you’ve read my previous posts, you know I’m a big fan of analogies and things that come in threes. 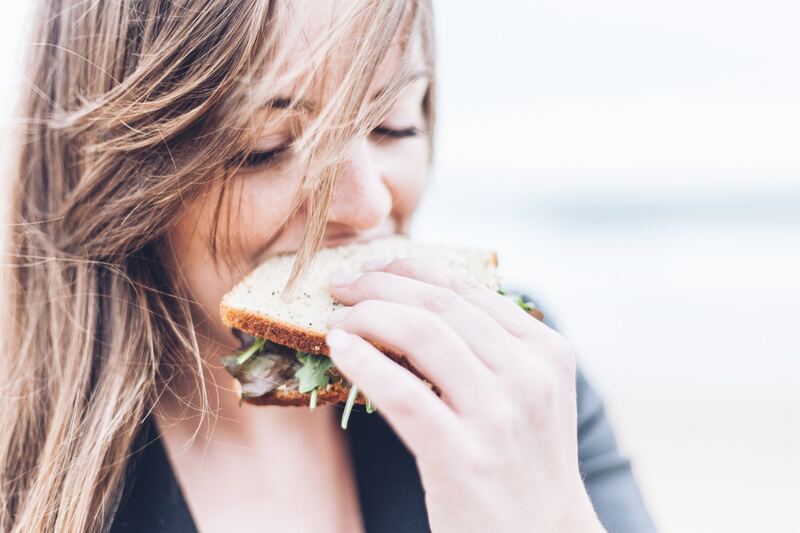 Consider for a moment that the various generations in a workplace represent a sandwich. One generation represents hearty, flavourful bread. Another generation represents fresh toppings and yet another, the really tasty filling in between made to order. All generations are needed to make a good workplace sandwich. Generation X is that tasty filling that makes the sandwich come together and taste delicious. Generation Xers. Born 1966-1980*, are that smaller cohort of dedicated, experienced workers with 15-25 years experience, and are in the prime of our careers. Currently they, hold “51% of leadership roles worldwide” (DDI Center for Analytics and Behaviour Research). Generation Xers are uniquely equipped to manage the changing world of work for 3 reasons. As a Gen Xer, I may be biased, but I believe we exhibit independence, results-focus and most importantly, adaptability. We are independent because we had to be. Our Boomer parents married young and had us while they were getting their education, buying houses and building careers. They were busy! Almost everyone I knew growing up, had 1 or 2 working parents so as kids we had to figure ways to look after ourselves. Our modus operandi was to have a key to the house, food in the fridge and time to figure things out on our own whether it was making mix tapes or writing to our pen pals in cursive! We learned to solve problems independently and how to use time efficiently. As leaders, Gen Xers can model and encourage younger employees to practice independence and self-learning as ways to discover solutions and build confidence in their own capabilities. More mature employees can benefit. Gen X leaders model efficient use of technology to accomplish goals. They also remain open to learning from their mature employees’ experiences and perspectives. Obtaining results drives Generation X. Hand in hand with independence, Gen Xers like to get things done and be rewarded for doing so. This is not unique to this generation, but it is particularly motivating to this group because they have had to find ways to survive. As leaders they understand the value of speaking in terms of results and outcomes as a way to ensure their efforts are recognized and stay afloat. They want to see the results of their efforts and as leaders, are adept at providing clarity on what is expected, especially for those employees just starting their careers. Showing what you can achieve and exceeding expected results, are gifts they can share with all employee groups. We are an adaptable lot. Sandwiched by the much larger Baby Boomers and Millennial cohorts, we have learned to survive. Our careers started during downturns, layoffs and technology shifts. We’ve experienced many changes – some useful and some, well just different! We remember having a wall-mounted telephone with a 10-foot phone cord and busy signals, and we also figured out how to find ways to use our skills when the marketplace didn’t always have jobs for us. Gen Xers have learned to adapt and thrive. We developed the ability to adopt and incorporate change quickly and consistently. These are key critical skills that leaders need to navigate today’s workplace, so to borrow from the 80’s band Simple Minds, “don’t you (forget about me)”. Pauline Greenidge is an HR Consultant, author and Chartered Professional in Human Resources and Principal of Upward HR. She empowers others to create positive employee experiences. 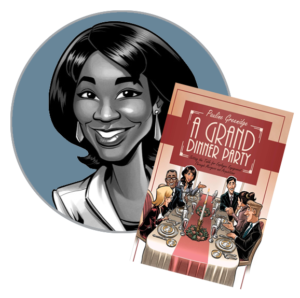 Her book A Grand Dinner Party is available on Amazon.com.